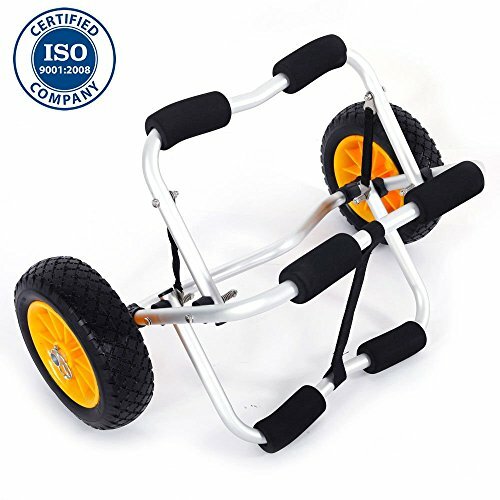 Cirocco Jon Boat Canoe Kayak Cart Dolly Carrier Trolley Gear Canoeing Trailer with Wheels | Strong Durable Aluminum Construction – Corrosion Resist Rust Proof Weatherproof for Camping Hiking Trip by Cirocco at Our DXC. MPN: APO-09-05. Hurry! Limited time offer. Offer valid only while supplies last. Features 1. New and high quality 2. Crafted from superior aluminum alloy for good quality 3. Easy to use 4. Widely used for kayaks and canoes 5.